Okay, I’ll admit, maybe saying that the Super NES Classic sold out instantly is an exaggeration, but only a slight one. Considering the time of day that presale of the retro box went live and how long supplies lasted, it might as well have sold instantly. The first pre-orders for the highly anticipated SNES throwback were made in the wee hours of Tuesday morning on Best Buy’s website. The sale went live at about 1:30 am EST and by 1:35 am no more units were to be had. About three and a half hours later Amazon began taking pre-orders, and it too ran out within minutes. The next retailer to start taking pre-orders might be GameStop. An employee of the company told Kotaku that management had instructed them to “expect a special announcement that will require immediate attention” later on today. So it might be worth a trip to your local GameStop sometime today to check if they are taking orders. Excited about SNES release this fall? Good news! We will have this item & it will be available for pre-orders! Get ready for Classic action. Other retailers that will be taking pre-orders for the Super NES Classic include Toys R Us, Walmart, and Target. While Amazon did sell out of its first allotment, keep your eyes out for another shipment between now and release. Also, it might not hurt to check a brick-and-mortar Best Buy location for availability. Physical stores are often promised in-store stock, so it’s worth checking if you really want to get your hands on one. "I mainly blame Nintendo. They created this false demand and have only hurt themselves." Consumer demand for Nintendo’s reminiscent remake is high, but so is the demand from resellers, or as the internet likes to call them, “scalpers." Many people on various discussion boards including Reddit are complaining about inventories being snatched up by scalpers using bots, especially during the release of the NES Classic last year. 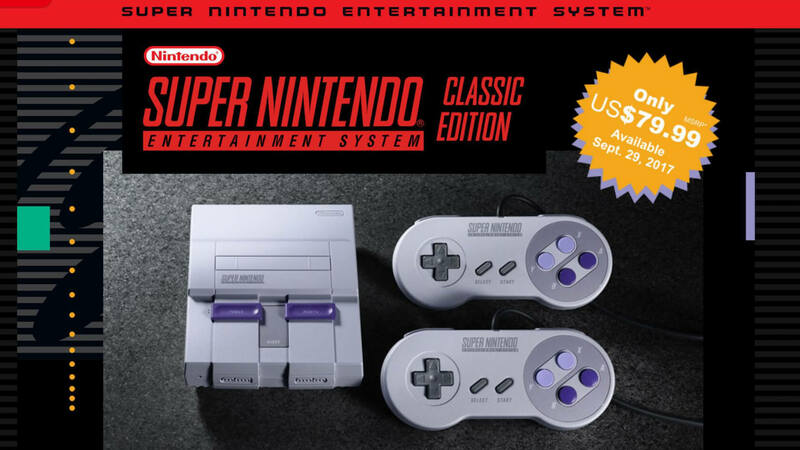 Even though Nintendo promised to produce more Super NES Classics this time around, confirmed pre-orders are already popping up on eBay for $200+. Would-be buyers of the units say that retailers could solve the bot problem by using CAPTCHA on their checkout screens. But is it really the fault of the retailers? After all, they are in the business to sell products. It should not matter to whom they sell the products or how many each person buys. Their ultimate goal is to sell all they have for the price they are asking. It is up to the manufacturer to keep retailers supplied. Reddit user, ForzaTwo4, says the responsibility is on Nintendo to produce enough units to meet demand. Granted, if Nintendo made it clear that they would produce units until demand dies down, much of the scalping would be eliminated and the company would reap the rewards. However, for whatever reason the company continues to insinuate that a limited number will be produced, driving resellers to buy up as many units as possible in order to gouge true consumers for a profit. Regardless of where the fault lies, if you want a Super NES Classic, you had better remain vigilant and watch for the pre-orders to go live. Even when the consoles go on sale while everyone is supposed to be sleeping, the supply is being bought up before the rooster crows. The mini console ships November 29.